Wizard, Deadliest Catch Crab Boat, she’s been back in Seattle since February after the Alaska Bering Sea Crab season. Wizard was at her usual Ballard Oil and Pacific Fishermen Shipyard docks spring into early summer, getting the boat ready to for summer salmon tendering back up the hill for the summer in Alaska waters taking fish. 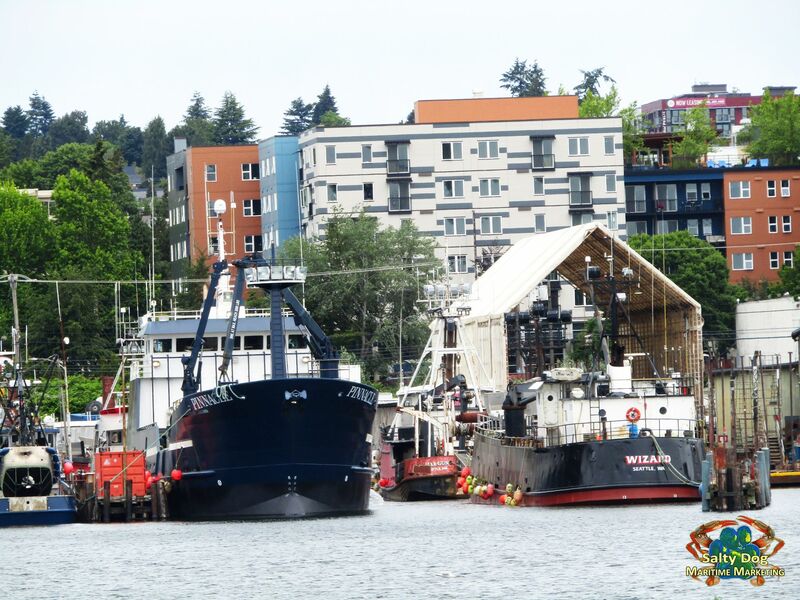 The crab boat F/V Wizard, spent a good grip on the ways at Pacific Fishermen Shipyard, she finally got a shave and a haircut, new haul paint job; it’s been a few seasons – the old girl was showing off some rusty highlight – the new paint job looks sharp! After the Wizard, was on the ways over at Pac. Fish. 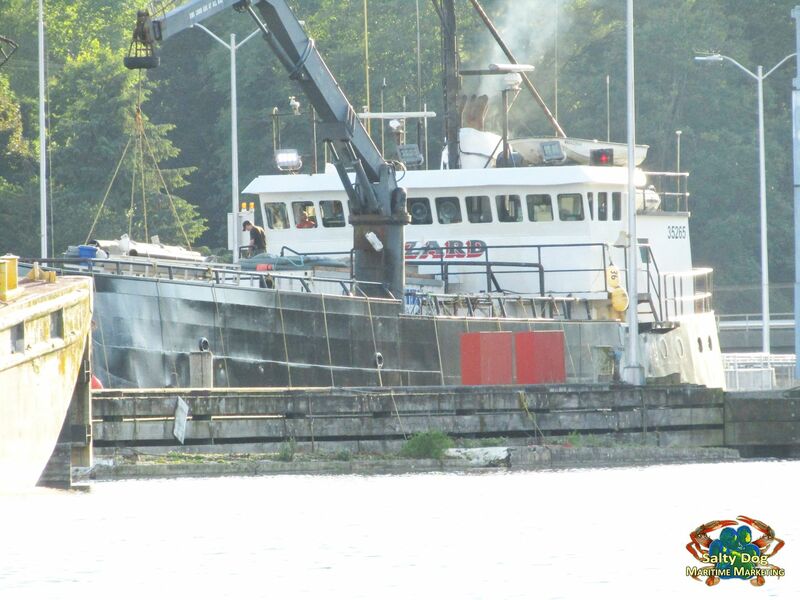 she finally got splashed back into the WA Ship Canal. It was time to complete all her summer salmon tendering gear, getting ready to head back up to Alaskan waters to spent a while on the hook taking fish from balls out wild salmon fishermen. 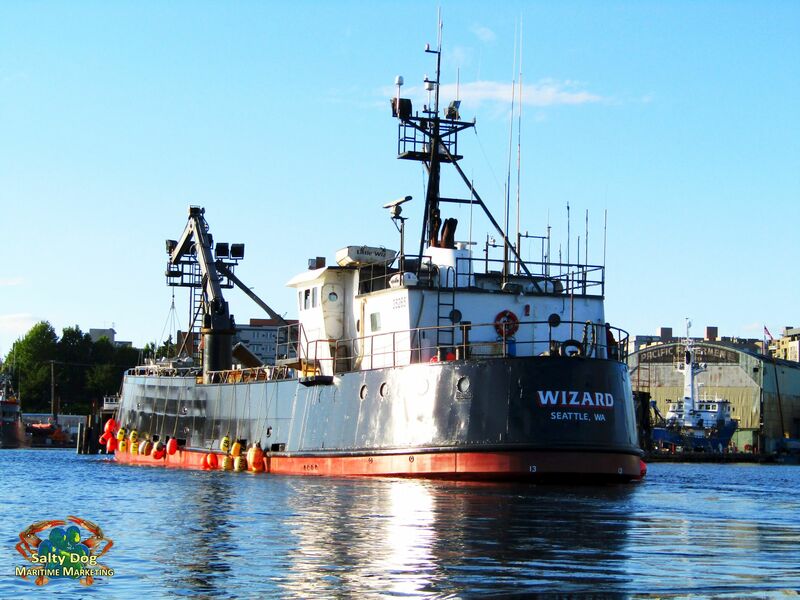 Wizard, is well known around Ballard as her usual homeport for shipyard work it Pacific Fishermen Shipyard. 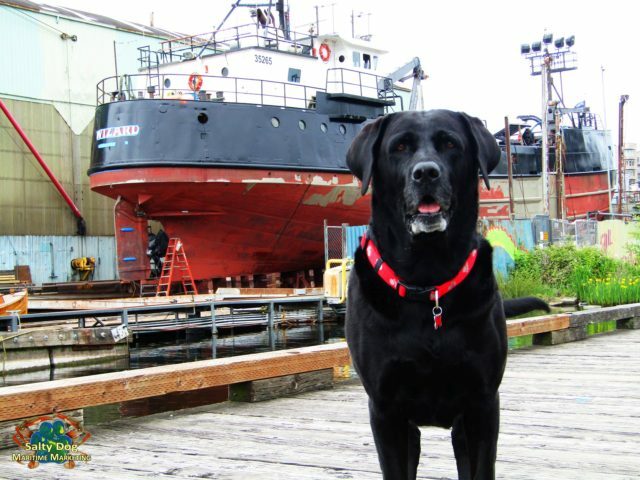 A lot of Bering Sea crab boats, trawlers and draggers, call Pac. Fish home. 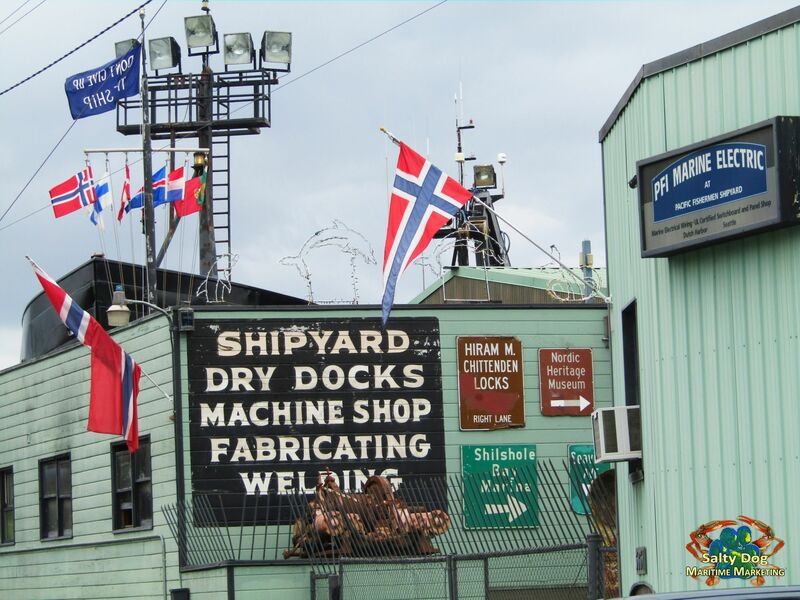 Located just east of the Ballard Locks, Pacific Fishermen Shipyard and PFI Marine Electric maintain talented and experienced shipwrights, machinists, boilermakers and electricians at their ship canal facility on the WA Ship Canal. Pacific Fishermen Shipyard has extremely experienced caulkers on their crew in their oakum loft are a diminishing resource in the wooden boat trades. Pac Fish Shipyard specializes in repair and consists of three haul out facilities and docks on the freshwater side of the ship canal locks. A 100’ x 200 ton marine railway, 160′ x 600 ton marine railway and the original Rowe 145′ x 600 ton screw lift dock with 140’ covered end track rails provide for extended out of the water repairs on dry land. These three facilities are equipped for hull cleaning, high pressure washing and sandblasting with full environmental containment and on‐site shipyard run‐off rainwater reprocessing. Extensive heavy steel fabrication, piping, wood joinery and full service machine shop give the vessel owner access to a one‐stop repair and maintenance facility and much more…. Photography By: Salty Dog Boating News, Salty Dog Maritime Marketing PNW to AK – Inquiry to: boating@saltydogfishingnews.com or www.saltydogmaritimemarketing.com God Bless our commercial fishing families and community Pacific Northwest to Alaska. Wizard, Deadliest Catch, Alaska Bering Sea Crabber, God bless our fishermen, fisherwomen and their families at sea and on land 24/7. Support our wild and rough Alaska and Pacific Northwest commercial fishing industry and community – EAT FRESH – BUY WILD!!! 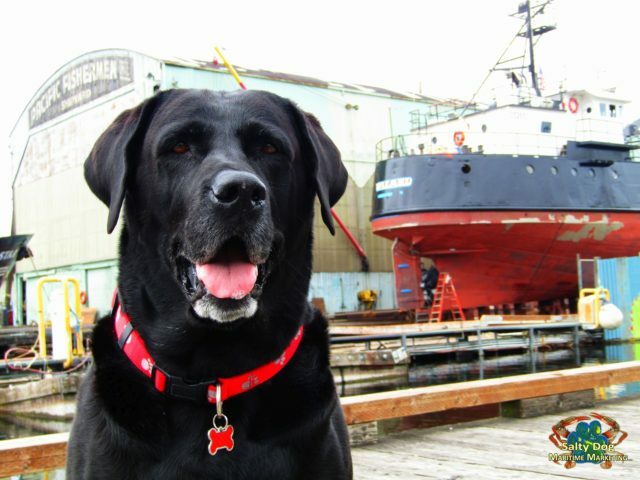 MUST LOVE DOGS – Salty Dog Lab Lookout!